We’ve been proud of quite a few accomplishments over the years. We’ve been named a Washington Post Top Workplace (2016), Favorite Residential Real Estate Brokerage of Loudoun County (2016-2017) and Favorite Commercial Real Estate Brokerage by Loudoun Now readers (2017). 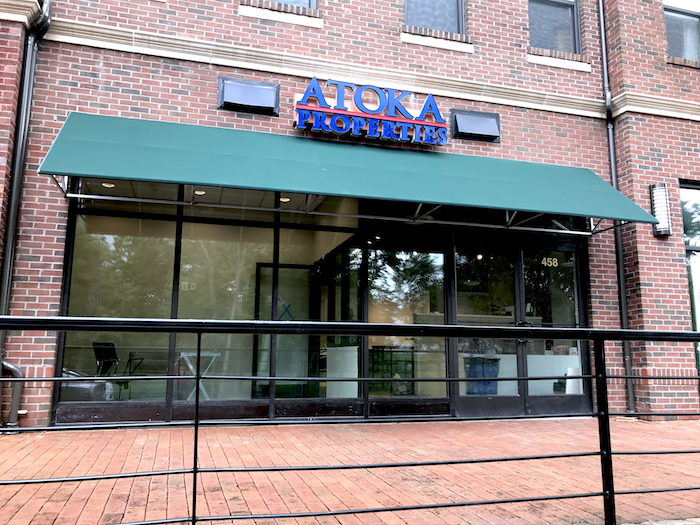 We expanded into Ashburn with a new office in 2016, and now, we’re beyond excited to announce the grand opening of our recently relocated Leesburg office, now open at 458 Harrison Street SE, Leesburg, Virginia in the Crescent Place community. Our Grand Opening celebration will be on Thursday, October 4 from 4:30 pm – 7:00 pm. The evening will kick off with a Ribbon Cutting Ceremony and continue with drinks, hors d’oeuvres, and a dessert bar. Pittsburg Rick’s Food Truck will make an appearance from 5:00 – 7:00 pm with food for purchase. The event is open to the public and locals of all ages are welcome. As a local, boutique firm, we may have been in business since 1939, but we are certainly not behind the times. MRE|AP focuses on being ahead of the real estate technology curve, with almost 100% paperless transactions and sleek marketing, both in print and online. The new Leesburg office reflects this modern approach to real estate with it’s clean lines and fresh style. Our Grand Opening is a chance for you to see the space for yourself and to meet our incredible Leesburg agents. In addition to this brand new Leesburg office, we have three other locations in key strategic areas across Northern Virginia: Goose Creek Village in Ashburn, Downtown Purcellville, and our place of origin, the historic main street of Middleburg. These carefully selected geographic locations are important to our success as a company and allow us to better serve our community. While MRE|AP holds considerable market share in the Loudoun area and continues to regularly add incredible agents to our ranks, we remain committed to responsible growth in the coming years. We make it a matter of course to stay true to our core values of volunteer community involvement, a comprehensive approach to real estate, and a pledge to adhere to the highest ethical and professional standards for our clients and colleagues. If you are interested in joining our tech-savvy, rapidly-growing firm, please contact Principal Broker Allan Marteney at 571-442-4321.